Strains of a Tom Waits song pour from the workshop of jewelry artist José Sierra and into the balmy New Orleans air. Inside, José nods his head to the music while he gently turns a wax mold in his hand. He works at it like sculpture, picking and prying with tiny metal tools until it is shaped just so. Often the form changes midway through the process as he discovers new potential for the ring or pendant he is designing. Ever present is the music when he works. “It is really loud,” José admits. “The genre varies depending on the piece that I’m working on, or the stage of the process that I’m in. I can’t work without the music and I think it reflects in the pieces.” Forms on classic wrought iron gates, the impression a wet glass leaves on a cocktail napkin, the curve of a bone, the curls of a tattoo—life in New Orleans is his main source of inspiration. A walk through the park with his dog, Ruby, inspired a series of twig rings. You can see where José patiently carved away at the form—working and reworking the shape until the metal was forever imbued with the roughness of a branch. José’s route to jewelry was a rather circuitous one. The son of Cuban and Spanish immigrants, he was born and raised in New Orleans but began the study of metalworking in San Francisco after his architectural studies ended. After creating a ring for a friend, José realized he had discovered his life’s passion. His jewelry has since been exhibited at San Francisco’s Balazo Gallery and at L.A. Fashion Week and has appeared in two issues of California Apparel News. It is currently being carried by Newbill Collection by the Sea art gallery in Seaside and is available on the website Etsy.com. José is currently working on a series of pendants inspired by the Chinese zodiac—but with creative license applied. 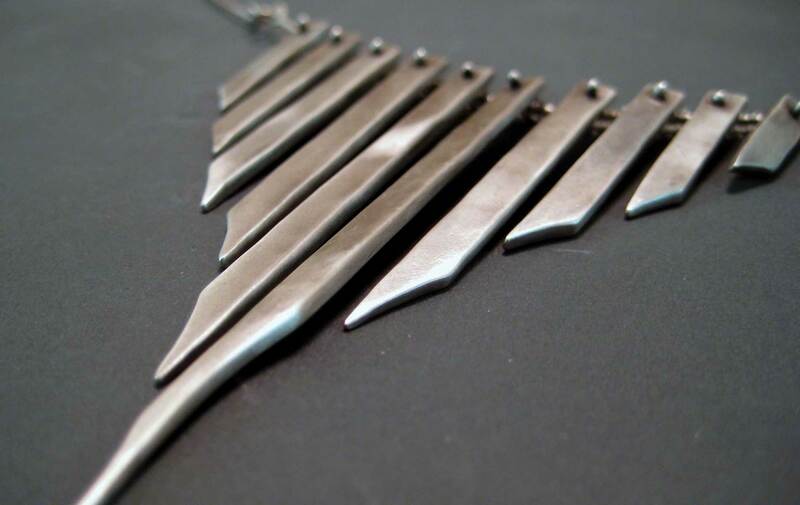 He hopes to further grow his commissioned works and laughs as he recalls a recent story involving a custom necklace.